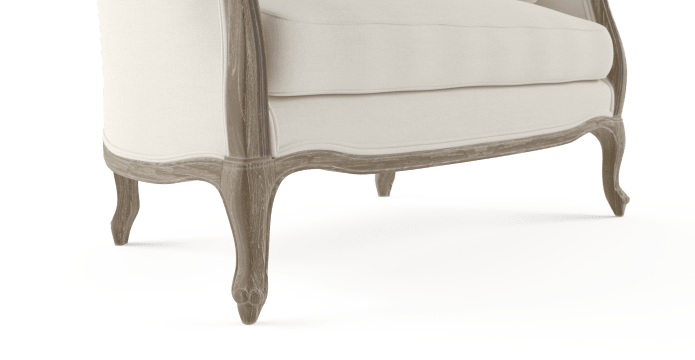 The Provence 2 seater sofa is a homage to the 18th century stylings of the classic French canape sofa, but with a modern twist of vibrant colours and softer upholstering, endearing it to contemporary decors. 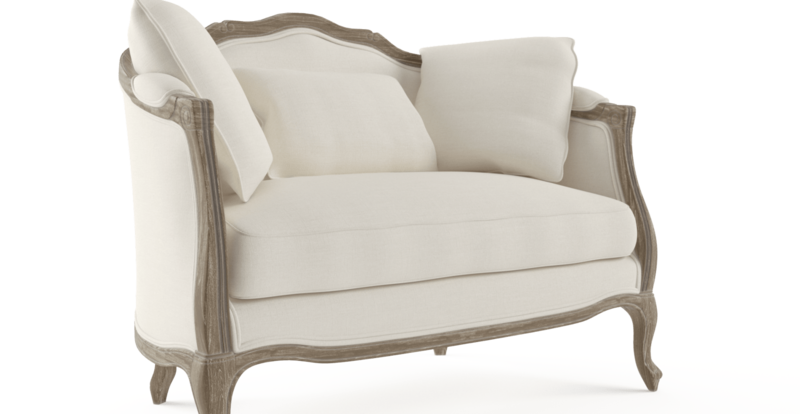 It is hard not to notice the show stopping silhouette of the Provence sofa. The gentle curves weave around the piece creating a romantic shape that may seem effortless but are purposeful in it's design and style intentions. It is the attention to detail that makes all the difference with a piece like the Canape Sofa inspired Provence collection. Exposed timber is exhibited gloriously throughout the piece to create a natural, almost raw demeanour. At the same time the hand crafted accents highlight the intricate stylings of this piece's origins. 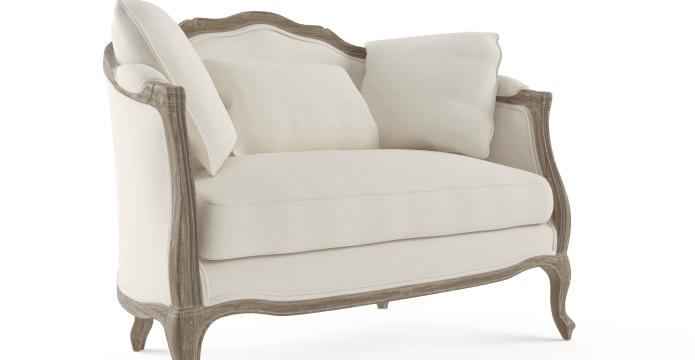 The 2 seater Provence sofa is designed around perfectly seating two parties without creating excessive distance yet still offering ample space to converse, engage and relax with guests or family. Relatively soft. Subtly smooth. You’ll feel it fit to the contours of your body when you sit. It gives you a cosy place to recline with gentle support touch and feel the different levels of softness at our Studio by Brosa. Jiangnan Workshop was founded 30 years ago, by an owner who came from a family of woodworkers. We knew we wanted to work with them when we realised they are as passionate about innovation as we are. They are known for using time-honoured, traditional techniques to craft modern furniture. 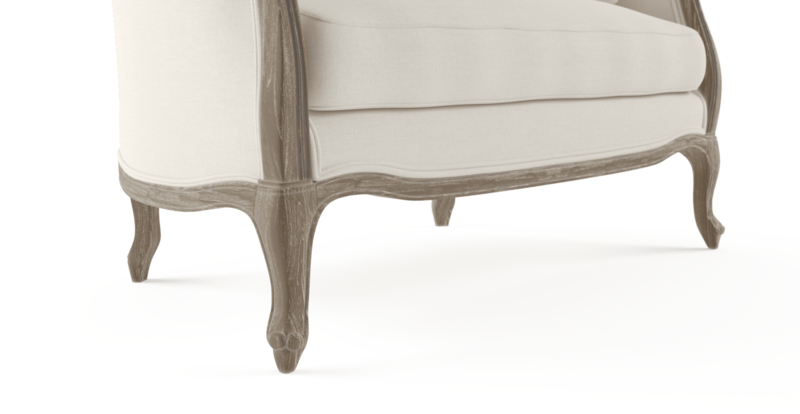 Beautiful vintage style furniture, that's very comfortable. Can't easily find something different in the stores, like on your site. Love , love , love my sofa. Friendly Customer Service also, satisfaction with product and prompt delivery. 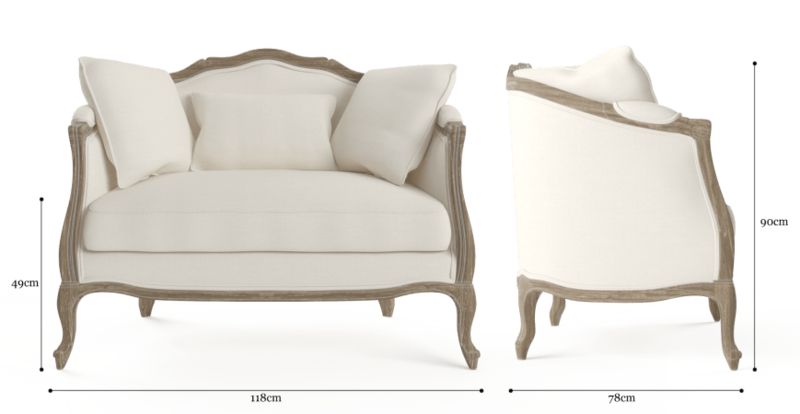 See, touch and feel our fabrics used on our Provence 2 Seater Sofa. For Free! Simply select up to 3 fabrics and add them to your cart. Delivery is on us. You can only order up to three fabric samples at a time.